What is the easiest way of becoming a power user of Serpstat? Do you offer SEO or PPC services? Can I have data on my website removed from your database? Where does Serpstat data come from? The service shows that the website does not use paid search. But I know for sure it does. Can you help me sort it out? What countries is data for? Why does rank tracking tool show different positions from what I see in SERP? How fresh is the data presented? Some queries don't return any results. Why is the data missing? I have allocated a large budget for AdWords campaigns this month - why I don't see any data on paid keywords and ads in Serpstat for my domain? Why do I see the inconsistencies between my rankings returned by Serpstat and my actual rankings in SERP? What do SERP features mean? What do the values in the 'Types of Keywords' parameter mean? How can I activate my discount code? How can I activate my promo code? Why am I getting an error when trying to activate the promo code? We're a legal entity. How can we pay for the subscription? Can I create two accounts - one as a free account and the other via affiliate link? How can I get a refund / cancel my account? I'd like to have my account deleted. Can you do this? I've got a few ideas for making Serpstat even better. Are you interested? Do you have an API? How do I use it? What is the Value of SERP Tracking? What is the pricing per query and how do I find out the total price? How do I request the tracking services? For how many locations, search engines and keywords can I get the data? How do I read the KD score? Why am I seeing the N/A in a KD column? How long does it take to calculate the KD for a keyword? What is the difference between Keyword Difficulty and Competition? What is Serpstat Keyword Grouping and why do I need it? How is Serpstat Grouping better than other tools out there? Which parameters should I choose in the Grouping tool? What are the Unsorted keywords? How I am charged for Grouping? What is Serpstat Text Analytics and how do I use it? What are the advantages of your Text Analytics tool and how do I benefit from it? Should I plug the recommended words in this same form? How I am charged credits in Clustering and Text Analytics tools ? What`s included in my lifetime plan? What are the common limitations of Serpstat Lifetime Plans? I missed to redeem the code. What should I do? My current lifetime plan is limited. How can I upgrade it? I don`t see my country being included in the lifetime plan. How can I add it? How can I request refund? Why do I get only 30 results per request if my plan allowes me to see 300 results? Why the "Missing Keywords" feature is not included in my lifetime plan? How can I use API in my lifetime plan? See the Use Cases section. Subsribe to our newsletter to stay up-to-date on the freshest learning content (you can do this on our blog main page). Read the news posts and guides on Serpstat blog. Please feel free to contact us via chat on the website or email us at support@serpstat.com if you have any questions. Serpstat is not doing SEO or PPC services. The platform is designed for digital marketing professionals. Removal is not possible. The data we show is based on information that is publicly available. Although, if your website is beyond the top-100 Google and top-50 Yandex, it won’t show in our database. We are parsing Google top 100 and Yandex top 50 search results for each keyword from our database. The stats on the number of keywords, domains, search suggestions or ads in our database can be found here. Keywords the website shows its ads for are probably not present in our database. The reason for this can be a low search volume for the keyword. If the website is not ranking in Google top-100 or Yandex top-50, the analytics data for it won’t be available either. There are several reasons why you see different positions in SERP and Rank Tracker. 1. Private Results. Search engines create personalized SERPs based on your search and browser history. 2. Search Filters. For example, your search parameters may be set to show only results from the last 24 hours. 3. Typos. Even slight difference in spelling or word order may cause the difference in positions. 4. Search Engine Updates. Search engines update SERPs constantly and sometimes the time of the update for your target keyword is different for rank tracker and search engine. 5. Search Region. Looking up the same queries in different areas will give different results, Make sure that you’re checking SERPs from the same area that you set in your Rank Tracker. The data on keywords and domains from our database is updated continually. However, due to the large size of the database we're not able to fully update the whole database every day. High-volume keywords are updated more frequently than the low-volume ones. The full database update cycle can take up to a month. The Keyword Distribution Chart in the Overview report shows the data from our database as of the current date. the keywords domain is ranking for are missing from our database due to low search volume. Our database contains keywords with search volume of at least 10 more monthly searches. If your AdWords campaign has been launched recently, we may have not yet noticed your paid keywords, or when we updated the data on keywords from our database, your competitors' ads were shown in paid search results. You may also have used some narrow location targeting. There's a bunch of possible reasons for the missing data on your ads and paid keywords. we show data from our database - it's not possible to update this large data amount on a daily basis. For this purpose, we recommend to use Serpstat Rank Tracker. The SERP features are covered in our complete guide to Google SERP. The export file for keywords contains a column ''Types of Keywords", and the JSON answer for an API request for keyword data also has this key-value pair, "types". Now, let's find out what these values mean. The plans differ primarily in the number of queries available per day and the number of returned results per query, keywords to track and pages to audit. A query is a request you make to our database when entering a keyword or domain for research or navigating between reports on the service. The limits for results per report imply that there's a fixed maximum number of results you can get per report. For instance, let's take a closer look at Plan B limits. With Plan B, you can get up to 15 000 strings in a report. If a domain is ranking for 25 000 keywords, you'll get the first 15 000 results. To export all keywords of the domain, you'd need to upgrade to Plan C (40 000 strings per report). Except for Plan A (which doesn't provide access to "Missing Keywords" and "Cluster Research", Serpstat API and Google KZ database), all plans offer the same tools. Starting with Plan B, users can access "Missing Keywords" and "Cluster Research", as well as get data via API. Starting with Plan D, users are provided access to the Google KZ database. The limits for "Site Audit", "Keyword Clustering and Text Analytics" and API are given for 1 month. 1 month equals 30 days, irrespective to a number of days in a calendar month. 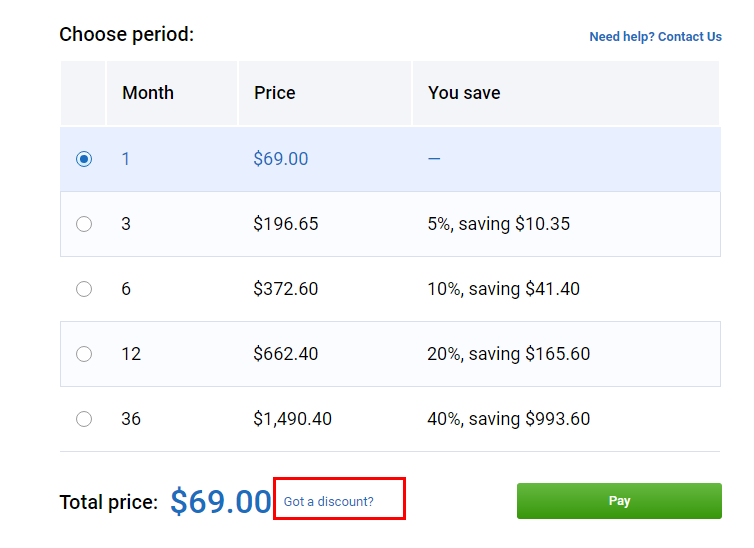 If you have already subscribed to a paid plan and want to upgrade to a higher-level plan, you can simply proceed to the new plan checkout on the Pricing page. The unused funds from the previous plan will be transferred to the new plan subscription. 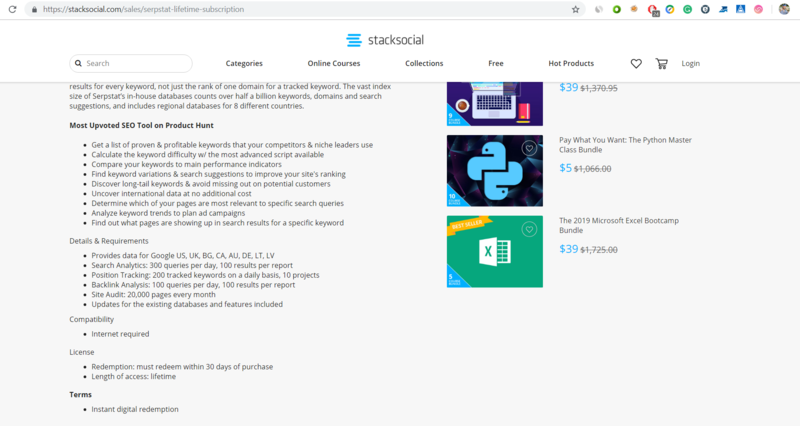 There're at least 5 ways to get a discount, a promo code or even a free access to Serpstat - they're listed on the Discounts page. When proceeding to the checkout, you'll see a "Got a discount?" field. Enter your discount code and click on "Pay"
2. 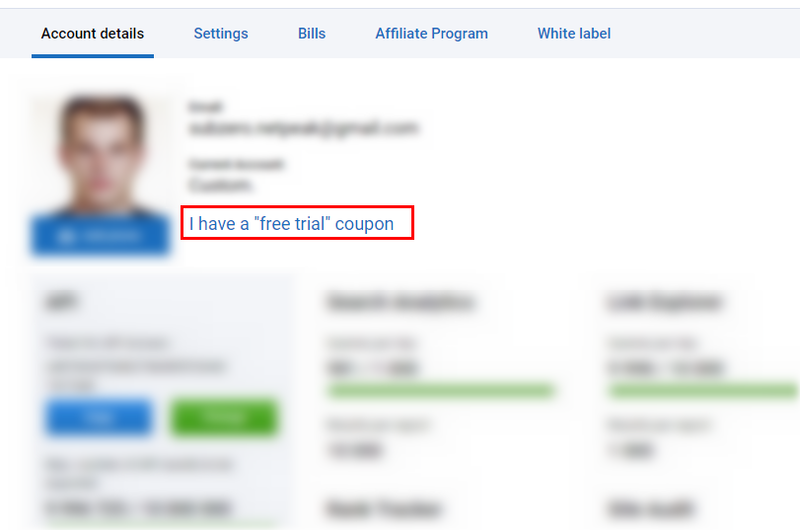 Click on the "I have a free trial coupon" button and enter the code. You can activate only one promo code for an account, a single account can't use two promo codes at a time. If you are struggling with activating your promo code, please contact our support team via online chat or at the email support@serpstat.com. We offer legal entities an opportunity to purchase a subscription based on a public offer. For details, please contact our support team via online chat or at the email support@serpstat.com. No, you can't. Both accounts will be blocked. But you can create one account and earn money via our affiliate program - get up to 30% from each payment made by users registered via your affiliate link. You can request a refund in accordance with the chargeback policy section of the Terms & Conditions. To initiate the refund process, please contact our support team via online chat or at the email support@serpstat.com. 1. clicking on the "Ask" button in the upper section of the website. 2. clicking on the "Contact us" menu option at the bottom of the page. 3. simply clicking on the green chat icon in the bottom right corner. Also, you can email us at support@serpstat.com. To have your account deleted, please contact us via online chat on our website. Yes! If you have a idea on an outstanding feature that could be implemented on Serpstat, we'll put it on our development list. Please tell us about your suggestion via online chat or email us at support@serpstat.com. The API documentation page will guide you through working with Serpstat's API. Reach out to us via online chat on our website or email us at support@serpstat.com. Serpstat SERP Tracking allows you to get the top 100 search results for a keyword delivered via API in the JSON format. The developer-friendly API parses the SERPs in the specified location for 100 000 keywords in one hour - unbelievably powerful and amazingly convenient way to get the accurate data on your rankings right into your computer, CRM or app. Focus on your SEO, and let Serpstat do the tracking work for you. Simple, powerful and precise. SERP tracking allows accurate city-based tracking in the location of your choice- over 12 000 cities supported. Get the rankings for 100 000 keywords in just one hour for a reasonable price- rank tracking has never been easier! Serpstat stores the crawled data for 24 hours upon the crawling completion. 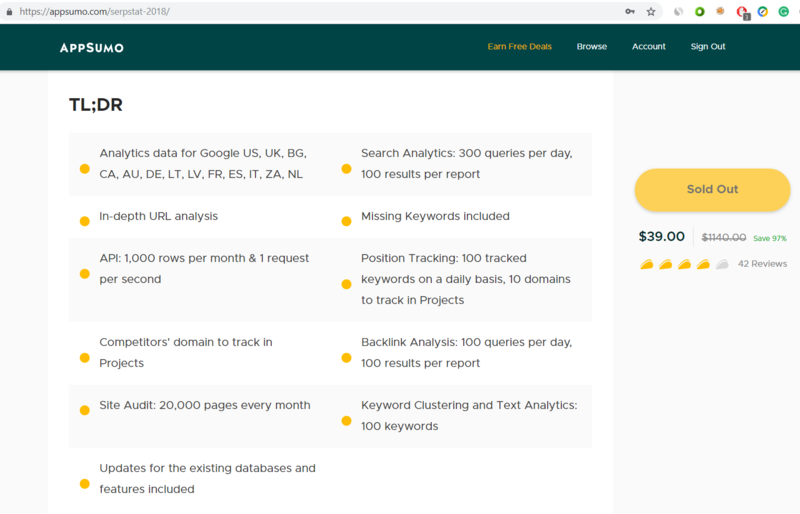 The pricing starts with $0,001 per query for more than 1 000 000 queries per month, and $0,0013 per query if you have less than 1 000 000 queries per month. To get the total price for the necessary number of queries, please use the pricing plan calculator on the SERP Tracking page. Please use the Send Request form on the SERP Tracking page to contact us. We’ll get back to you in the shortest amount of time. You can get the top 100 search results for any number of keywords in any country and 12 000 cities around the globe from Google or Yandex search engine, provided that the order amount is at least $300. The order amount should be at least $300. Please use the pricing plan calculator on the SERP Tracking page to get your rank tracking service price for necessary number of keywords and locations. Keyword Difficulty - a keyword metric that shows how hard it is to get to the top 10 in SERP for a given keyword. Keyword difficulty is measured in percentage, where the 0 is the lowest competition on a keyword and 100 - the highest. The metric will help you prioritize your list and figure out what keywords are most likely to bring benefits in a short amount of time. The KDs are available only for Google USA, Australia, Germany, France, Canada, Spain and Ukraine at the moment. For some keywords, we won’t show the KD because we didn’t parse the SERP for absolutely all keywords from our US and AU databases - a N/A will be shown in this case. If you are researching a keyword in the US/AU database and see grey dots pulsing next to the keyword in the KD column, this means that the score is being calculated. The KD for that keyword will be displayed in a few minutes. We’re going to add the KD metric for other countries later. The calculation of a KD score for a keyword from the US database takes up to 10 minutes, depending on the service workload. KD for other databases is not displayed at the moment. 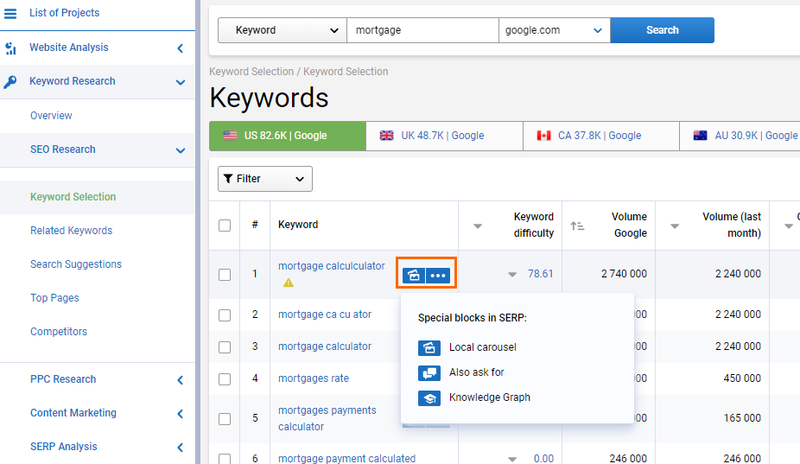 Keyword Difficulty estimates how hard it would be to get a listing in top 10 organic search results for a keyword, while Competition shows how many advertisers are bidding to show their ads in the search results for a given keyword. This gives a clue as to which promoting method is likely to produce better results in a short-term perspective: SEO or PPC. Serpstat Keyword Grouping is the process of grouping a set of keywords into clusters based on their semantic similarity. - identifying individual keywords that don’t fit any cluster topic. Existing tools either produce keyword clusters without strong semantic similarity, or the resulting data set contains too many clusters, depending on the preferred Soft/Strong parameters. Also, a common drawback is that clusters with similar topics are scattered across the dataset. Serpstat employs intelligent hierarchical clustering where clusters are combined in a supercluster. Unlike many competitors’ solutions, Serpstat grouping tool doesn’t set a cluster center (a keyword with the highest search volume which is compared with other keywords to detect the number of matching URLs in SERP) — Serpstat analyzes relationships among all clustered keywords. Weak/Strong and Soft/Hard parameters provide unprecedented flexibility and accuracy of clustering. Weak requires keywords to have at least 3 common URLs in Top 30 search results to be combined into a cluster, while Strong defines 7 common URLs as a condition for creating a cluster. Opting for Soft clustering means that a cluster can be created if at least one pair of keywords has 3 or 7 common URLs in Top 30 search results. Hard parameter requires that all keywords in a cluster have 3 or 7 common URLs in top 30 search results. If the keywords belong to a specific topic, for example, watches of different brands, you can select Strong+Hard or Strong+Soft so that only the closest synonyms are merged into a cluster. The result of such grouping will be lots of clusters tailored for separate pages or particular categories. If various products and services are the case, for example, a keyword collection for a large multi-category online store or beauty salon with a wide range of cosmetic treatments, it’s worth selecting Weak+Soft. The choice of Strong+Soft will produce more clusters and a possibility to get more topic-targeted clusters. Keywords that don’t fit any cluster are placed to the Unsorted folder. Most likely, they are not relevant to any other keyword group and can be removed from the dataset. If you think that they should be kept, the keywords can be moved to any of the created clusters or you can use them on separate pages. Grouping credits on Serpstat are dubbed points. One point corresponds to one keyword. If you’re going to cluster, say, 1, 000 keywords, you’d be charged 1, 000 points. After clustering a set of keywords, you can proceed to text analytics on the clustered keywords. Text Analytics charges you with an extra point for each analyzed keyword, i.e. performing clustering and text analytics analysis of 300 keywords requires 600 points. Text Analytics is a tool designed to help you target multiple keywords with a single page. For Text Analytics, you need a keyword cluster from the Grouping tool and an associated URL. Serpstat will analyze the text content on the page for the targeted keywords and page’s relevance to search queries from a cluster. Read on in the User guide. without a URL (when you need general recommendations prior to setting up a page). Text analysis without a URL will provide suggested words for Title, H1 and Body along with their LSI Rank, Chance and percentage ratio of a recommended word’s lemma to the total number of unique keywords on corresponding sections of pages from the metatop . We display words’ lemmas, but you can use these words in any form that fits your content generally or individual sentences. Don’t sacrifice the content quality to include a portion of suggested words in the exact form. Clustering credits on Serpstat are dubbed points. One point corresponds to one keyword. If you’re going to cluster, say, 1, 000 keywords, you’d be charged 1, 000 points. After clustering a set of keywords, you can proceed to text analytics on the clustered keywords. Text Analytics charges you with an extra point for each analyzed keyword, i.e. performing both clustering and text analytics analysis of 300 keywords charges you with 600 points. The limitation of your lifetime plan depends on the platform and the promo period during which you have purchased the plan. 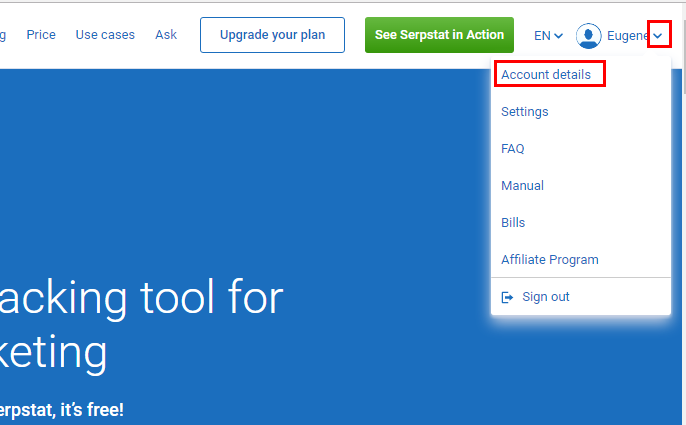 Serpstat lifetime plans were available for sale only during the following periods and only on the following platforms. Users can buy lifetime plans only during specific promo periods and only on Appsumo, Stacksocial and partnered platforms. With lifetime plan you have access to the limited number of databases and features. New features and databases that released after the promo period are not included in the lifetime plan. Branded Reports and White Label features as well as features from higher plans are not included in the lifetime plan and will not be added in the future. 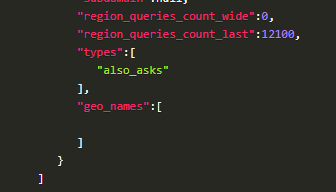 The CIS countries and regions are not accessible in Serpstat Position Tracking tool and will not be added in the future. You could request a refund only through AppSumo or Stacksocial website during 60 days after the promo campaigns. After 60 days, the refund is not possible under any circumstances. Personal training and consultation on working with Serpstat are not included in the lifetime plan. You can upgrade to Serpstat standard pricing plans in case you wish to get access to more limits, new features, one-on-one training and new databases that are not available for your current lifetime plan. Contact our team. I`m sorry. Your code expired. All codes were valid for 60 days from the beginning of the promo periods. According to Serpstat and Stacksocial agreements, all codes cannot be activated under any circumstances starting from July 1st, 2018. Customization of lifetime plans is not available. In other words, it is not possible to add more limits or databases to your lifetime plan. However, you can upgrade to one of Serpstat standard pricing plans. All subsequent payments and further plan upgrades will come under the standard pricing. We provide lifetime users with exclusive discounts up to 50% on yearly periods upon request. Contact our team. Customization of lifetime plans is not available. In other words, it is not possible to add more limits or databases to your lifetime plan. However, you can upgrade to one of Serpstat standard pricing plans. All subsequent payments and further plan upgrades will come under the standard pricing. We provide lifetime users with exclusive discounts up to 50% on yearly periods upon request. Contact our team. You can upgrade to one of Serpstat standard pricing plans if you need more limits or databases. All subsequent payments and further plan upgrades will come under the standard pricing. We provide lifetime users with exclusive discounts up to 50% on yearly periods upon request. Contact our team. Updates for the existing databases and features included. Keyword Clustering and Text Analytics: 100 keywords. The limitation of your lifetime plan depends on the platform and the promo period during which you have purchased the plan. Access to API is available only for Appsumo users.